Singer-songwriter Harry Nilsson worked in the computer department of a California bank throughout the early 1960s. For much of that time, he managed the night shift, clocking on in the early evening and finishing around 1 a.m. Then, instead of going to sleep, he wrote songs all night. Being a man of considerable energy, he spent the daytime hawking his songs around publishers. There were a few successes. He made a small number of single records himself, and some of his songs were picked up by others, including Phil Spector. He recorded some of them with the Ronettes and the Modern Folk Quartet, but failed to issue the discs at the time. Then in March 1967, the Modern Folk Quartet’s bassist Chip Douglas began working as a producer for the Monkees. He invited Nilsson to come and demonstrate some of his songs, and the result was that the Monkees, with Davy Jones singing the lead vocal, recorded “Cuddly Toy”. This became a hit, and Nilsson earned enough in royalties to be able to quit his job at the bank, and begin his own career as a singer. The song also marked the beginning of a long friendship with the Monkees, and particularly Micky Dolenz and Davy Jones, who would, many years later, star in the London stage production of Nilsson’s fantasy musical “The Point”. In between, there was plenty more music. Nilsson penned “Daddy’s Song” for the Monkees movie Head, and he and Davy Jones appeared together singing in television commercials. There was horseplay in the Los Angeles studios of RCA, when the Monkees and Nilsson found themselves in adjacent booths, recording for the label. And there was hanging out together, as Nilsson would do at Dolenz’s Laurel Canyon home, thinking up ideas for songs, playing parlor games, and having the occasional drink or seven. Nilsson and Micky became such close buddies, that when Nilsson went to Ireland to meet his prospective wife’s parents, Micky came along as well. Micky was also one of the many rock stars who borrowed Nilsson’s London apartment (that would later become infamous when both Mama Cass and Keith Moon died there). Although he was perhaps more famous for his associations with John Lennon and Ringo Starr, Nilsson was equally involved with “America’s answer to the Beatles”. Alyn Shipton is the award-winning author of many books on music including Nilsson: The Life of a Singer-Songwriter, A New History of Jazz, Groovin’ High: the Life of Dizzy Gillespie, and Hi-De-Ho: The Life of Cab Calloway. He is jazz critic for The Times in London and has presented jazz programs on BBC radio since 1989. He is also an accomplished double bassist and has played with many traditional and mainstream jazz bands. 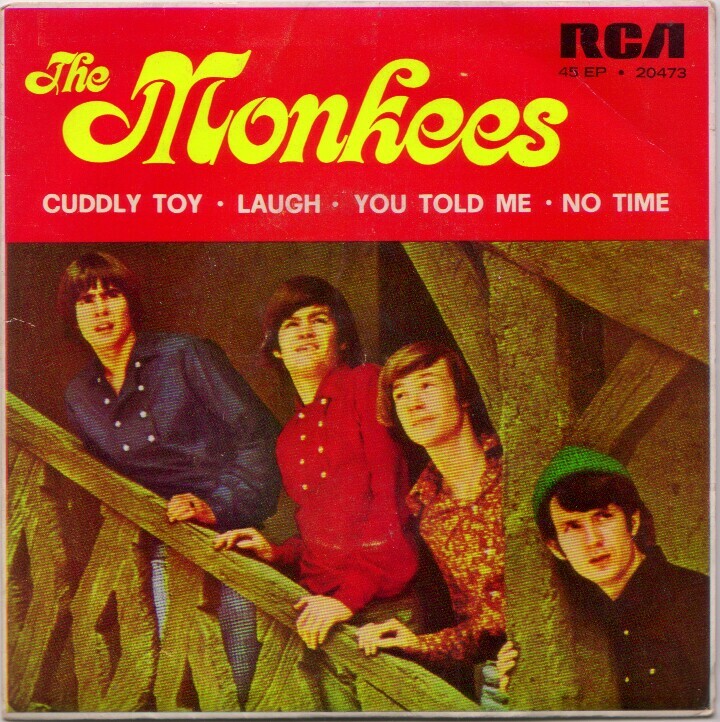 Image credit: Monkees disc cover via 45cat. Always loved Harry’s contributions to The Monkees. The Monkees have a new album coming out shortly (May 27) called Good Times! And the title track (a song called “Good Times”) uses an unfinished Harry Nilsson demo recorded in the late 60’s, that the boys have completed with Micky singing along with Harry’s guide vocal.